Tammy Honaman has been making jewelry for over 15 years, working in a variety of media, including metal clay, wire, sheet metal, polymer clay, glass and beads. 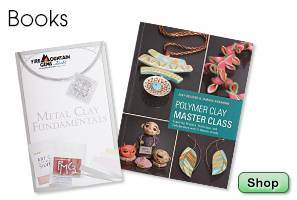 She is a certified Senior Art Clay® and PMC Instructor, and teaches a wide range of jewelry-making techniques at national and international trade shows as well as on national television programs. Tammy has worked with Fire Mountain Gems and Beads as a top-billed expert jewelry designer--creating and authoring educational content for print, video and the Fire Mountain Gems and Beads website. She is major contributor to the team answering jewelry-making questions in Ask the Experts on the Fire Mountain Gems and Beads website. Tammy also creates and writes jewelry-making projects for books and international and national magazines. Tammy Honaman YouTube videos for Fire Mountain Gems and Beads include titles such as: Secrets to Crimping with Crimp Tubes, Bracelet with Art Clay® Silver and Sterling Silver Jumprings and How To Use ICE Resin®. 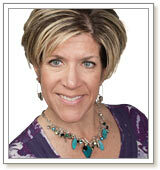 Tammy is the founding editor of Step by Step Beads and Step by Step Wire. View all of Tammy's resources here. 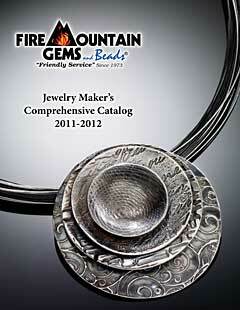 Browse Tammy's products available at Fire Mountain Gems and Beads.